Jawaharlal Nehru Port Trust (JNPT), country�s premier container port has successfully installed the state-of-the-art surveillance system cameras at all important places with a view to further enhance the security measures at the port. Shri Anil Diggikar, Chairman, JNPT commissioned the surveillance system in the presence of JNPT officials, says a release on 21st Dec. In all, 71 cameras have been installed as part of the project which includes Fixed cameras, PTZ cameras, PTZ wifi and PTZ thermal camera. This surveillance system is fully IP based and the cameras will effectively monitor strategically important locations inside and outside port area, for safety, security and compliance monitoring. These cameras cover all perimeter roads, JNPT, GTI terminals, berth and landing jetties, central, south and north gates and control room at North Gate on a 24x7 basis. 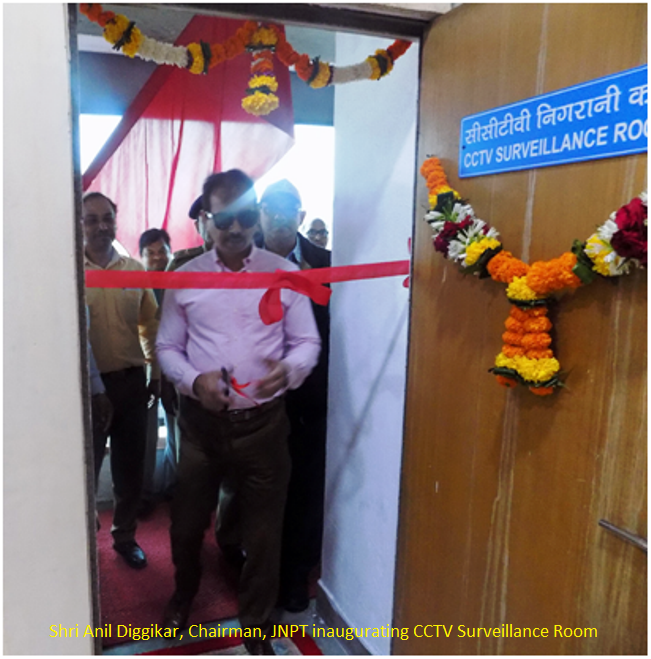 After the successful inauguration, Shri Diggikar said, �In today�s world, it is essential to protect our systems with excellent monitoring system, this system will enhance security at JNPT and meet the ISPS compliance as well, so that we are able to bring down any untoward incidents through efficient monitoring system�.